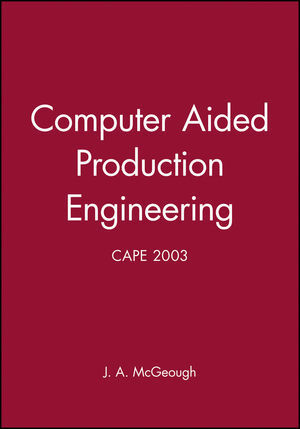 Computer-aided Production Engineering contains valuable information from both industry and academia to discuss progress in research and development in this major branch of engineering that affects all industrialized countries. Manufacturing globally has witnessed major transitions, the rapid advancement in electronics and communication technologies enables design and manufacture to proceed on an international dimension that until now could not be anticipated. The advent of these technologies has affected large, medium, and small-sized enterprises throughout the world. Emphasis is moving towards procedures that employ innovative and new uses of computer-aided production engineering techniques as an aid to the manufacture of prostheses, by well-known methods of computer-aided design and manufacture, and the use of agile manufacture and robotics. Computer-aided Production Engineering will be of great interest for all those involved in product design, manufacturing processes, automated machinery, and the most up-to-date advances in this far-reaching area of engineering. Joseph Anthony McGeough FREng FRSE is a former Regius Professor of Engineering, and now an Honorary Professorial Fellow, in the School of Engineering at the University of Edinburgh. McGeough was born in Kilwinning, Scotland, on 29 May 1940.